As you may, or may not know, Chili Pepper Shorts Mike has become one with the DNF as of late. While I know the man has it in him to actually finish a race that I'm not running alongside him in, I fear he is running low on the mojo to get him across that line. Now, I also know our fabled Chili Pepper Shorts wearin' dude works best when he is presented with a bonafide challenge, a demoralizing blow to his chili pepper ego, a deep cut straight down to the core of his very being. My what magnificent timing this is. I recently caught wind of a little intel in the ultra world. Chili Pepper Shorts has signed over his life to none other than our beloved Andy Weinberg (two times in the same year, is he nuts?! 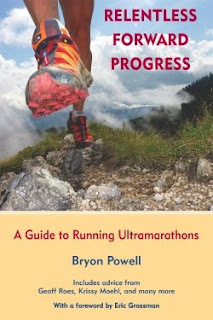 ), and will be taking on the Pittsfield Peaks Ultra Race, in the form of the brutally tough 53-miler. Can we say 13,122 feet of vertical? Can we say "not very runnable"? Can we say "masochistic"? 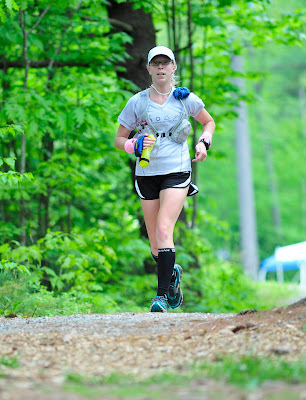 Can we say "I met four people last weekend who said they'd never run the 53-miler ever again"? Clearly, this is a man on a mission! A man out to regain his title as a finisher of races! My rebuttal is now officially posted to Polka Dot Shorts - though not as LONG WINDED as yours. I really love the challenge and extra motivation...so thank you! As I like to say, "whatev", bring on the sweaty crotch. I hope you can get used to the idea of running in pearls. It's a fabulous job, but somebody's got to do it. Paige! Another classic. I loved it. You can pick up the trash and you can talk the trash. Well done. H-to-the-ilarious! Awesome! I love these challenges. Crash, you need to give me updates while at Kettle. Good luck you too. This will be amusing no matter which way it ends up. Cool!! Props to Pearls for issuing the challenge, and to Mr. Chili Pepper Shorts for accepting. Rock on, dudette and dude! Yowza! I'll be at Pittsfield too. 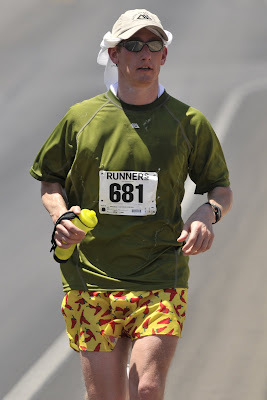 I hope to see you at the finish, Mr. Chili Pepper Shorts. I'll wear the peppers and the pearls if that's what it takes to get me through that course!